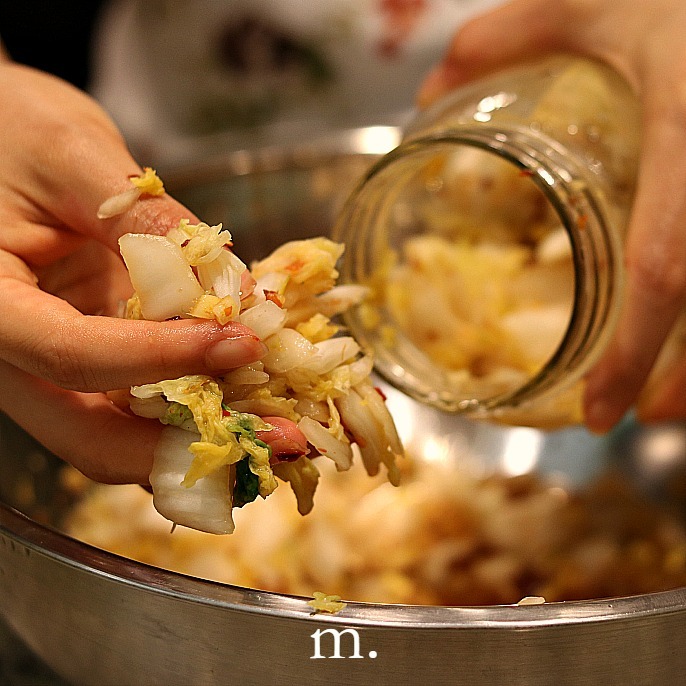 In my experiment, I used the traditional ingredients – that is, Chinese napa cabbage and all kinds of spices – as an example to walk you through the whole kimchi-making process. 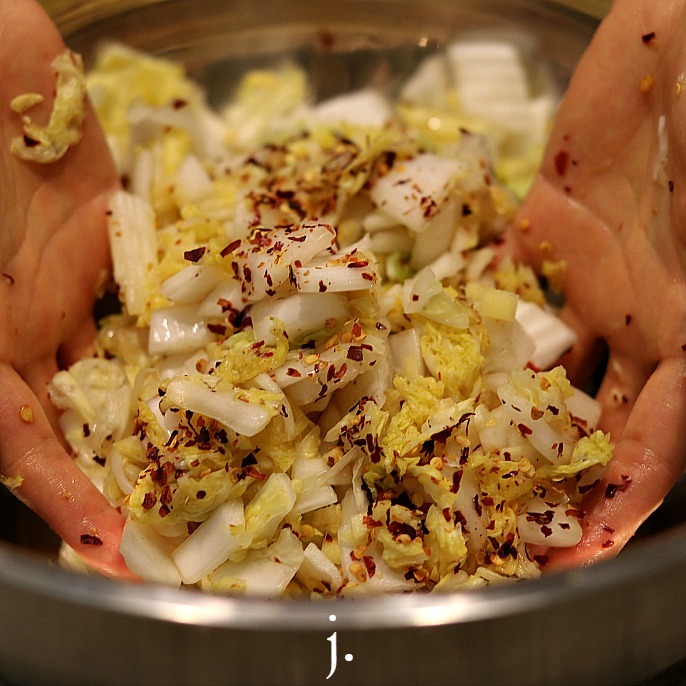 To get started, you will need to have all the necessary ingredients in place including Chinese or napa cabbage, garlic, ginger, and red chili peppers (a). Then, you soak the vegetables in the brine; and set them aside at room temperature for 6-8 hours (b and c). Next, drain the brined veggies briefly. 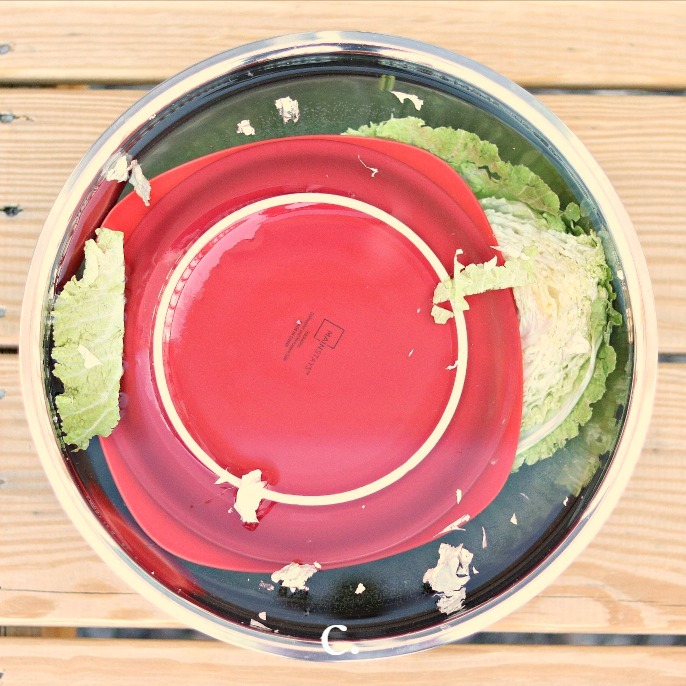 Afterwards, peel off two leaves and set them aside as the followers (d); chop the cabbage into one-inch pieces and put them in a large bowl (e, f, and g). Chop or mince all herbs and spices into small pieces (h and i), and mix everything together and massage thoroughly until you see the brine is formed (j). When this is done, pack the mixed veggies into the jar tightly. 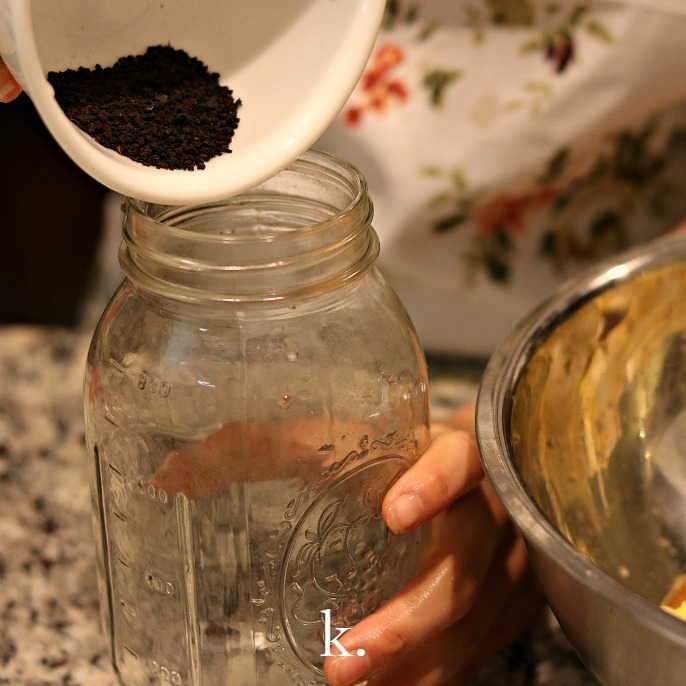 In my experiment, because I used black tea leaves as my source of tannins to enhance the crunchiness in kimchi, I added the leaves into the bottom of the jar first before I packed everything else (k, l, and m). Press down the vegetables as hard as you can to make sure they are submerged (n); add followers on the top (o) and, if necessary, add more brine, to make sure the followers are submerged as well (p). 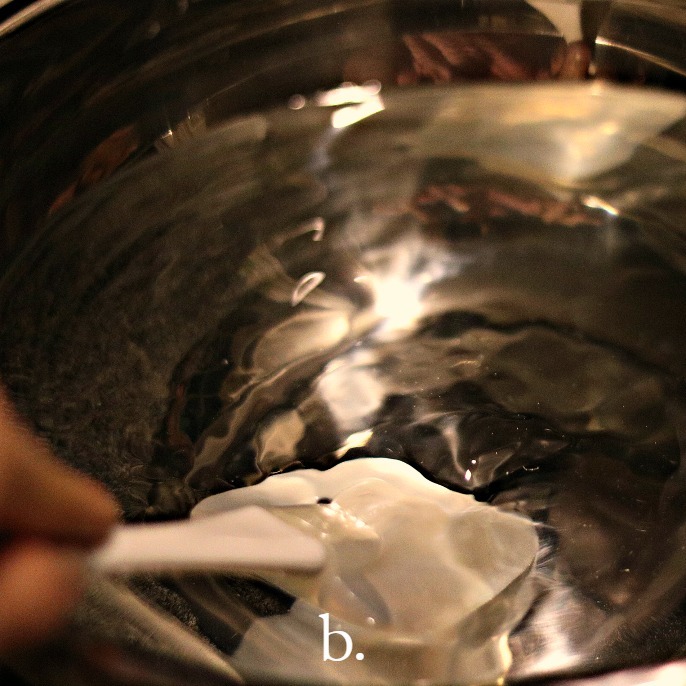 Leave one to two inches between the top of the brine and the rim of the jar (q); loosely cover the jar with a lid to allow carbon dioxide to escape; stick notes to the bottle, if necessary; at last, place the jar into a bowl which is used to hold the brine that may come out during the active fermentation process.